Consumers, especially Singaporeans, love a good discount or deal, but what happens when things get out of hand? 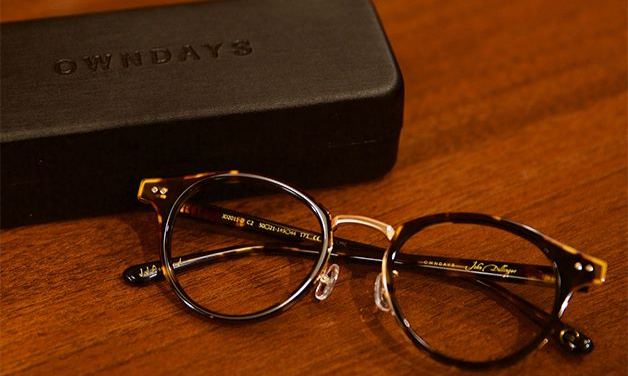 Most recently, OWNDAYS had to cull its discount campaign just after one week after giving out close to 2,000 free pairs of eyewear. This occurred when terms of the campaign linked discounts to the number of followers and likes, resulting in abuse from netizens trying to game the system. Speaking to Marketing, an OWNDAYS spokesperson explained during the campaign period, its staff had “worked tirelessly” to ensure thousands of customers across the island had received their eyewear. The eyewear brand is not alone. Just two weeks ago, online telco Circles.Life launched its #3dollarballer campaign, drawing unmanageable crowds looking to exchange SG$3 for SG$50 at vending machines placed in various Singapore locations. This saw the police stepping in to disperse the crowds, which were in the hundreds. Several industry players Marketing spoke to previously, stressed the importance of having limits to freebie marketing campaigns to prevent abuse and safeguard the business interests of the brand. For Preetham Venkky, director at KRDS Asia, “Any promotion that brings down the value of a product to zero, undermines the brand”. Echoing the sentiment is Prantik Mazumdar, managing partner, Happy Marketer, who added that campaigns which undermines the value of brand through freebies are “gimmicky, purposeless and detrimental” to the business. This is despite the amount of short term buzz it creates. If a brand genuinely wants to reward customers or prospects, it is better served in executing a strategic, well planned, data-driven, gamified loyalty or advocacy programme, Mazumdar explained. This approach nudges customers to take action and share their behavioural data in exchange for the rewards. “This enables a genuine exchange of value between both parties and not a one-way, imbalanced promotion which sees the customer gaining more value compared to the brand, which only gains awareness in the form of likes and shares,” Mazumdar added. This is a reflection of brand marketers being myopic and engaging in short term campaign thinking rather than investing in customer experience. If brands choose to implement tactical promotions involving freebies and giveaways, good planning with product inventory teams is essential to ensure enough gifts are available. “They also need to better protect themselves with stronger terms and conditions which enforce caps and caveats,” he said. While freebies have a role in the promotional mix, they should come with a big warning sign for brands, said Oliver Spalding, head of CRM APAC at Digitas, in a conversation with Marketing. For OWNDAYS and the Circles.Life vending machine stunt, the issue was more about the distribution channel than the offer. Brands can become a victim of their own success and be caught up PR backlash. As such, it is critical for marketers to take steps to contain the impact of such promotions. For Spalding, if a promotional campaign involving freebies is being done for the first time, its duration needs to be kept short. This could mean having the promotion be 48 hour flash sale or limited to a single location and observing its performance. The promotion should also be associated with a “limited edition” range or implement clearly explained terms such as “first come first serve”, Spalding added. Brands should then conduct analysis to assess the cost benefit, before determining its success and consider repeating or scaling it. “Smaller brands should concentrate on building community to create love for the brand. After doing so they should then reward engagement with smart promotions, like what UK telco GiffGiff did when it launched unlimited data plans,” Spalding said. For Johanan Sen, head of Strategy, dentsu X, it is important in any promotion or giveaway to ensure the brand and product are the heroes. If brands don’t build up their perceived value or desirability in the promotional drive, they need to rethink the effort. “When the only hook for the product is that it is being given away for free, en masse, it becomes interchangeable with any other product in category and you won’t win brand loyalty,” Sen added. As such, giveaways should be considered when the objective is to drive sampling or salience for the brand. Meanwhile, giveaways with limited access to products are also able to drive the perception of a product as “desirable”. The six year deal covers global media rights, sponsorship rights and international events for the Singapore Lions and National age..
M&C Saatchi Worldwide has officially announced it is launching a full service agency in Singapore, co-owned by senior local talent..
SMRT’s private car business move: Better late than never?